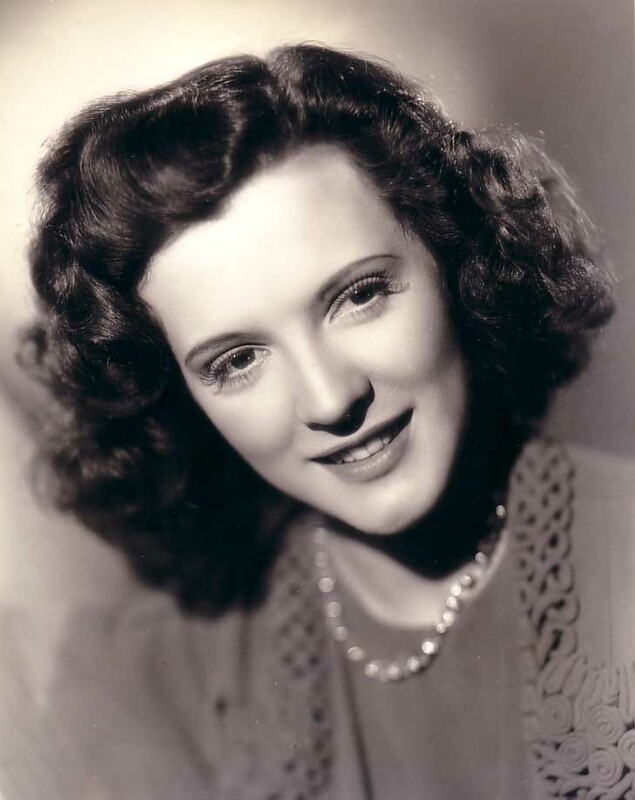 Lovely Eileen O’Hearn was a sure bet for stardom at Columbia Studios in the early 1940s, along with Jinx Falkenburg, Patti McCarthy and Kay Harris. Need I say more about what happened to them? None of the girls achieved even a modicum of success in movies. Only Jinx Falkenburg became famous, but only later and in a different venue. I have profiled both Patti and Kay, and I can easily say I have no idea why such beautiful girls failed in Hollywood. Let’s try and see what happened to Eileen. Mary Eileen O’Hearn was born on November 8, 1913, in Kansas City, Missouri, to Michael J. O’Hearn and Teresa O’Hearn. Her father was born in Ireland and immigrated to the US in the early 1900s, and settled in Kansas City where he married Eileen’s mother (who was 18 years younger than him and a native of Missouri). Michael worked as a local contractor, and the family lived in their own home by 1920. Eileen grew up in Kansas City, attended schools there and started singing from an early age. At some point she was taking serious singing lessons and turned into a talented lyrical soprano. She gave several open air concerts and even did some radio shows in Kansas City. The O’Hearns moved to Santa Monica in 1937. She entered the University of California at Los Angeles and enrolled in the drama class. While studying, she was doing some acting work on the side. She had played the ingenue lead in U.C.L.A.’s presentation of “Of Thee I Sing,” and had acted in the Westwood Community Theater and Pasadena Community Playhouse. It was during the run of “Cradle Song” that a scout saw her and offered her a test by Columbia Pictures Corp. She passed it with flying colors but nothing happened. Disenchanted, Eileen put her acting dreams on hold for a moment, quit college and started working as a stenographer at The Times in Los Angeles. Some time passed, and Columbia finally summoned her to sign a contract. And her movie career was on! Eileen appeared in my favorite genre (IRONY), low-budget western, for a start. Thunder Over the Prairie was her first movie, and her first lead role (now that is a great leap for any actress. Even if it’s a low-budget western. Can’t believe I am saying this). The studio took a gamble with Eileen, since she officially was not a trained actress nor did she have prior movie acting experience. She was partially seasoned in live theater, but was far from an acting pro, any way you look at it. Unfortunately, Eileen did not live up to the studio’s expectations, and instead of going up, she went down. 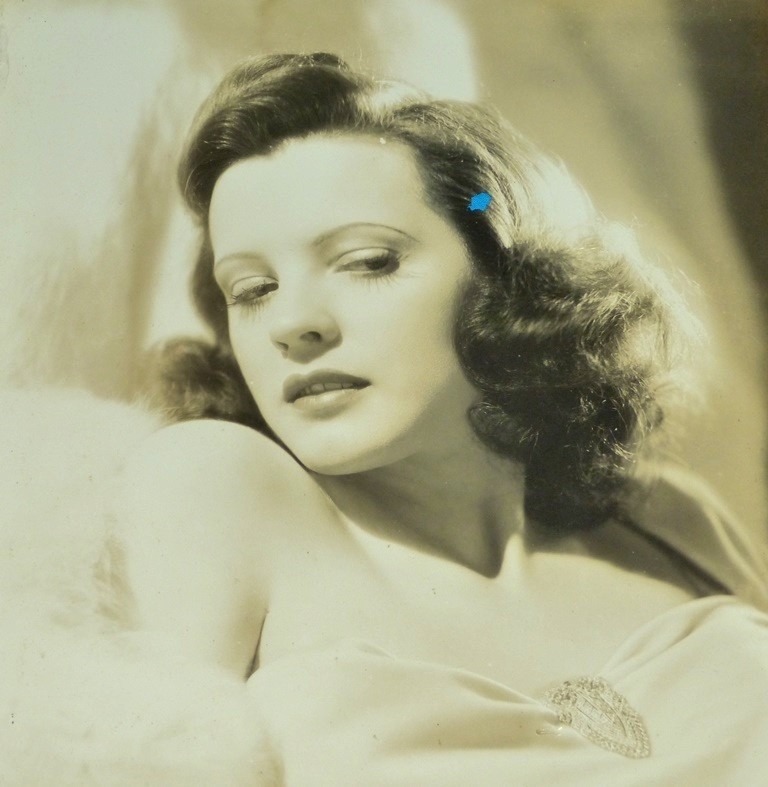 She was to be uncredited or play supporting roles until the end of her career. She appeared in Honolulu Lu, a charming but thin as air Lupe Velez musical, The Man Who Returned to Life, actually a more than decent thrilled with John Howard in the lead, but sadly completely forgotten today and not a hit back when it was released either. The Adventures of Martin Eden was the most prestigious movie for Eileen, a semi successful adaptation of the Jack London classic. Like most literary adaptations, fans either love or hate it – some praise Glenn Ford, some find him a failure. Some find the ending fitting for the time and place it was made, some things it’s a disgrace for London. It’s usually best to leave it up to personal preferences in this case – the movie isn’t a bad one (all in all), the script is good, the actors are far from untalented, and rest is up to you. Next Eileen appeared in the delightful Two Yanks in Trinidad. I love it when Hollywood takes two character actors and gives them a movie where they can show their often considerable talents. Let’s be real, character actor were often more talented than leading ladies and men – and both Pat O’Brien and Brian Donlevy are sterling examples of this. The plot even fades in comparison to the interplay between those two. Anyway, it’s fun fun fun. Eileen was then shuffled into two serials: Alias Boston Blackie and Blondie’s Blessed Event. What can I say about both of these serials? if you love the first movie, you’ll love the rest, if not, just skip. After How Spry I Am, a comedy short, Eileen finally got her billing, but again in a low budget western – The Devil’s Trail. The less I say about the movie, the better. Next Eileen landed in one of th ebets movies of her career – Not a Ladies’ Man. The title is wildly misleading – the protagonist is, believe it or not, a 8-year-old boy who developed a passionate case of female dislike after his mother left him. Hollywood rarely tackled with such sensitive, real life problems, and I applaud the studio for trying, at least on a light weight level, to deal with this. Problems start when his father falls for his teacher. The cast is good – Paul Kelly (interesting man, read more about him) and Fay Wray, and the youngster is played by Douglas Croft. Eileen was again uncredited in Meet the Stewarts, another lightweight family drama. However, a wonderful cast brightens this one up – William Holden and Frances Dee are the couple in question. And the plot, dealing with everyday life of a pair of newlyweds, is sure something not seen in movies frequently. Charming and simple, it’s a perfect movie to watch on a Sunday afternoon. 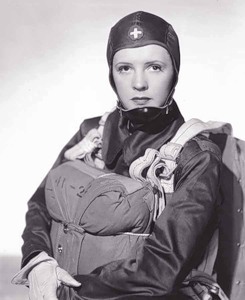 Eileen’s last two movies were war movies: Submarine Raider and Parachute Nurse. She gave it all up for family in late 1942. 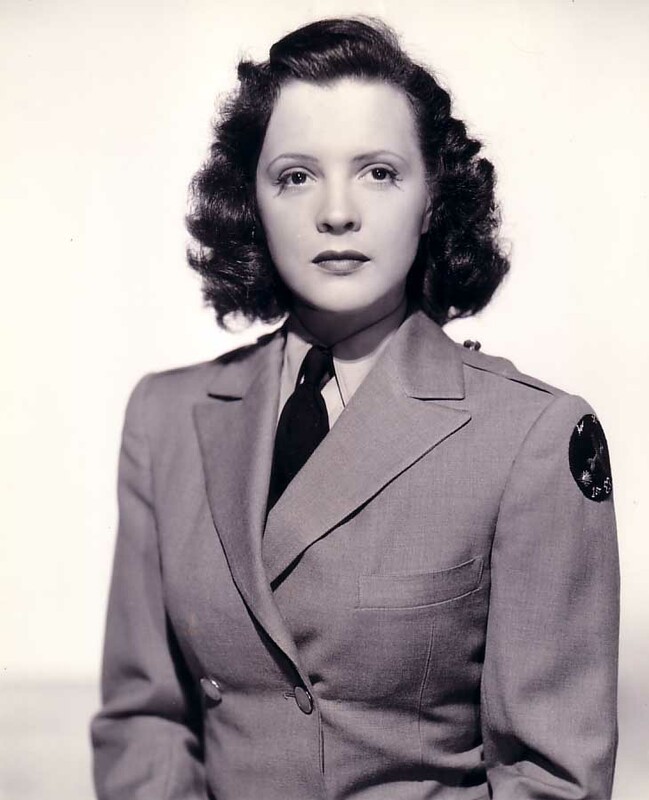 Eileen gave an interview in 1941, where she claimed that she refuses to appear with a drink and cigarette in her hand on-screen since off-screen since she neither drinks nor smokes in real life. “You can be an actress without sacrificing your ideals” – was her quote. Columnist Wood Soanes was quick to reprimand her – in a very condescending article, he tried to illustrate how actors are not the characters they play on-screen. I have to say I agree with Woods here, as Eileen does comes of as a self-righteous puritan, not an actress who strives to embody a role to the best of her ability. The irony is that Eileen was right, that you can be an actress without sacrificing your ideals, but appearing on-screen without a cigarette in your mouth is not quite the way to do it. Eileen’s other outrages claim was that her ancestor was a Irish princess, Briget O’Hara, who ran a fleet of pirate ships of the coast of Ireland. This, however, was a standard publicity stunt of the time and thus nothing out of the ordinary. Their daughter, Susan Eileen, was born on January 2, 1943, in Hollywood. Eileen decided to retire in 1944 and devote her time to her small family. The Pates lived in California for the first few years of Susan’s life before moving to Normandy Park, Washington. In 1947 her son and last child, William, was born. Susan and William later attended school in nearby Des Moines, Washington. The Pates were avid boaters and many family vacations were spent cruising Puget Sound and the San Juan Islands. They also raised chinchillas for a period of time. Frederick Pate died on September 1969 after a happy marriage. Eileen moved to Alaska to be with her daughter Susan. She never remarried and enjoyed a close relationship with her children. Eileen O’Hearn Pate died on September 22, 1993 in Kodiak, Alaska. Another fascinating piece of research — many thanks! In the ’40s, practically every movie scene involved glasses and cigarettes. Writers over-used them as props, weak substitutes for more thematic action or deeper characterization. O’Hearn was right to ignore any scripted smoking and drinking, both had become dreadful cliches. Hi Jorge! While you are right is some instances, they really did use smoking as a hollow symbol, I still disagree with Eileen’s methods. The actor’s job is to embody the character to the best of his abilities – the more he gives and is willign to do, the better the characterisation. If the character smokes and drinks and that’s a part of his make-up – oh yes, you can’t cut that out just beacouse you don’t like it. Get over it, your own fixed ideas can’t take precedence over quality, in-depth characterisation. If you don’t believe in that character or personally disagree with him, just don’t play him. I know it wasnt’ that easy back then, that they made 100 movies a year and actor rarely had the time to make quality preparations, but as I noted, this stance of Eileen’s irked me when I wrote the blog post and it still does.